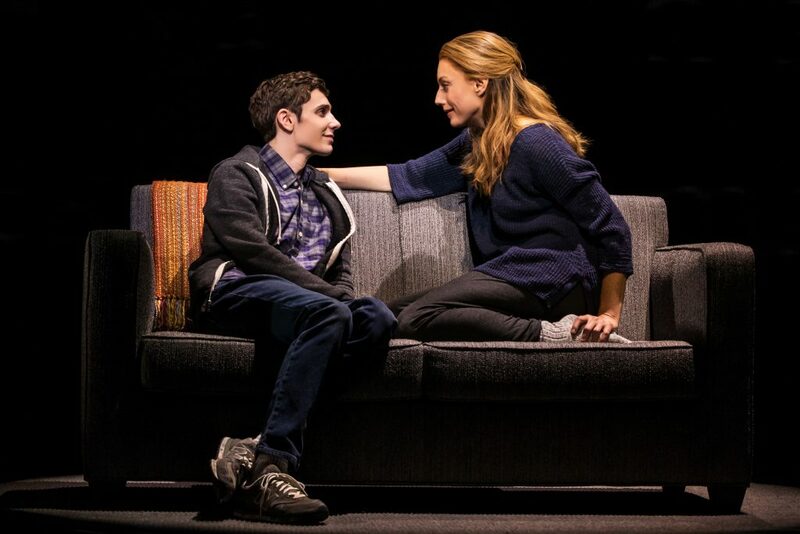 Currently playing at the Paramount Theatre, contemporary musical Dear Evan Hansen connects with audience of all ages by telling a thought-provoking story of a teenage boy trying to fit in. The musical starts off with a high school boy with an injured arm named Evan giving himself pep talk about how everything is going to be great in a new school year. He is ready to make new friends and may even muster enough courage to go shake the hand of the girl he likes. However, by the end of the day, he realizes that nothing has changed from last year. In fact, it’s going to be worse. After having an emotion broke down followed by a series of events, Evan finds himself mistaken as the best friend of his deceased classmate, Connor, and becomes the center of attention as the rest of the school attempt to recreate the almost non-existent memories of Connor. “The Connor Project” is launched and the classic snowball phenomenon of social media gone viral happens. Evan is soon the well respected kid at school and charming boy next door loved dearly by Connor’s family. He finally has the one thing he has always wanted — the chance to fit in. At this point of the story, I looked around the audience and we all shared the jaw-clenching expression, wondering how the lie that was never meant to be told will unfold. Going into the show with very little knowledge of Dear Evan Hansen, I found the story line fast pace packed with sad humor that is also a true to reality. Throughout the show, it was slightly sad and uncomfortable to watch a teenager with severe social anxiety struggle to fit in and connect with people around. But the gut-punching moment came charging in the end when Evan nearly told him mother the truth about his injured arm. Suddenly, I sense the brutal loneliness running deep as the underlying theme of Dear Evan Hansen. We have all been the one who tries too hard to fit in. Most of us would eventually get over the phase of self searching and accumulate enough confident to be ourselves. Dear Evan Hansen offers a deep reflection on your relationship with people around and invite you to reach out to the ones you may have forgotten along the way.